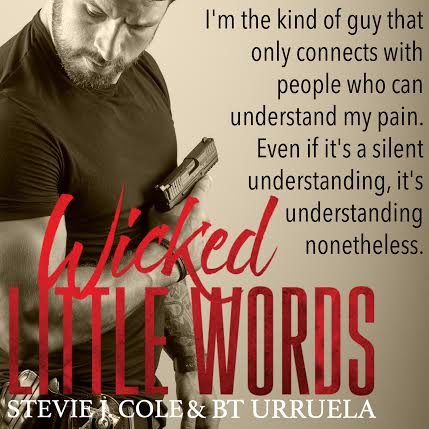 WICKED LITTLE WORDS by Stevie J. Cole & BT Urruela is NOW LIVE! After being invited to attend a photoshoot with acclaimed photographer Michael Stokes, he flew to California in December of 2014, with incredible excitement. His photos were so widely publicized that he soon gained exposure to the literary world like he had always dreamed of. That opportunity launched him into his present writing career. He co-wrote the novel 'A Lover's Lament with author KL Grayson. 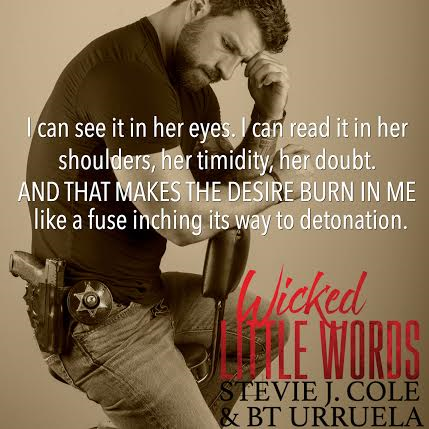 The following year he released first solo novel, 'Into the Nothing' and will be releasing Wicked Little Words with author Stevie J. Cole. He is now writing full-time.